Before we moved to San Diego, when we were in the exploration phase, people used many truths about San Diego to lure us here. Among these were the following: “You really don’t need air conditioning in San Diego, the weather is nearly perfect year round,” “You don’t realize how humid it is in the South until you live in San Diego,” and “There really aren’t bugs like mosquitos in San Diego.” Needless to say, we took the bait with the help of a clear call from God to head West. And let’s be real, all is pretty well here. That being said, I was unprepared for two natural phenomena that have shocked me here in San Diego. The skunks and the crickets. Skunks are to San Diego what squirrels are to the Southeast. They are everywhere, running about as if they own the place. I would much prefer a cute nut-hunting squirrel to a nasty striped skunk any day. Mater, our dog who has been skunked more than a handful of times, agrees whole-heartedly. They don’t write about them in the tour books. So consider yourself forewarned. You can thank me later. Now onto the crickets. Maybe this is not a San Diego wide-phenomenon, but I can most certainly attest to the infestation of small, nasty, nearly see-through crickets in and around our home. I know they don’t bite like mosquitos, but they are loud, prolific little creatures. I have begun hiding out in my home in the evenings for fear of walking out the front door to be greeted by walls that are acting as cricket hostels. You were not invited, nasty beings. You are ruining my picturesque visions of San Diego. Crickets don’t get much representation or marketing in life. In fact, only two things come to mind immediately when I think cricket. The first is a great childhood book called A Cricket in Times’ Square, starring a polite little cricket who is most assuredly not related to the cricket clan living in our home. The second is that awkward silence when no one is talking, when an attempt at conversation or a small group discussion goes nowhere, leaving everyone standing and staring at their toes. Crickets. 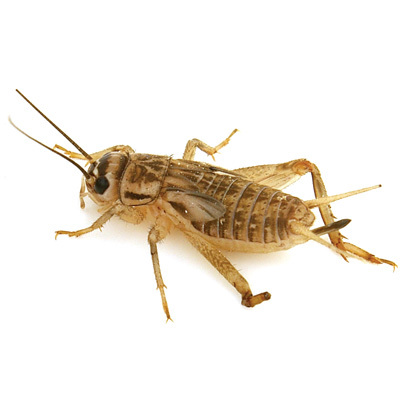 Sometimes that latter view of crickets is how I feel about God. There are so many times when I or those I love or those I don’t even know have cried out to God and asked for some miracle, some sudden stop to the evil around us, some answer to the profound suffering on this earth. And the response from Heaven often seems to be silence. Crickets. Crickets from Heaven seems to be a shared human experience. And I, as every human ought to be, am confused by this seeming indifference from a God I know and believe to be loving and gracious and just. God is not silent because He is cold or careless, but because His best and only answer is the offer He has given in Christ: the offer of a Suffering Savior who demands only trust in Him, as hard as that can be at times. Crickets, yes. But crickets in light of the Cross.